Toptal is proud to sponsor the next gathering of the React Meetup Medellín, taking place Tuesday, Mar 26 at 06:30pm. This meetup welcomes all React.js experts and enthusiasts, who regularly get together to share knowledge and experience. 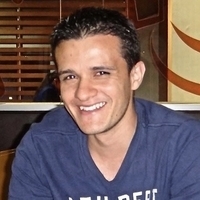 This will also be an opportunity to meet up with Willington Vega, a Toptal developer of Medellín. Come get to know the local community, and feel free to invite a guest if they would be interested in finding out more about Toptal. Your message to Willington was sent.